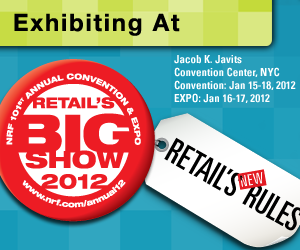 Now that we are a few weeks removed from the 2012 NRF Convention and Expo, it’s a good time to look back and reflect on some of the conversations we had at the show. One of the questions we were asked repeatedly was what made the thermal sensors found in people counters different from some of the others technologies (video, motion) on the market. We thought we would use this space to briefly address that question. The simple answer is accuracy. Thermal technology provides a high level of count precision and directional counts. Also, because thermal is based on temperature as opposed to visual impressions the technology is not influenced by light conditions and is more versatile than video-based systems. In fact, thermal sensors are sophisticated enough to avoid double counting, meaning they won’t count the same people twice. When talking about traffic counters, accuracy is of the utmost importance. Obviously, if the data collected from these devices is not correct, then the decisions made from that data will be incorrect as a result. Next time we will take a look at what decisions can be made from the data collected from thermal-based people counters and how it can help a retailer improve sales and reduce expenses.